Avenue Foch, near the Bois de Boulogne. This beautifully appointed apartment is on the sixth and top floor of a luxurious turn-of-the-century building with a concierge. 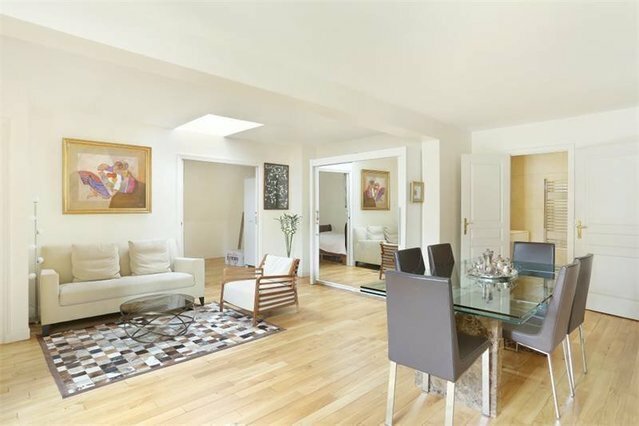 Enjoying an open view of la Defense and the Bois de Boulogne, 846 hectares of leafy greenery and the capital’s green lung, it includes a bright living/reception room with a fully equipped open-plan kitchen, two bedrooms, a bathroom and a shower room. With a cellar. An ideal pied a terre in the capital’s prestigious 16th District.